Got people on your list who love to cook? Perfect. 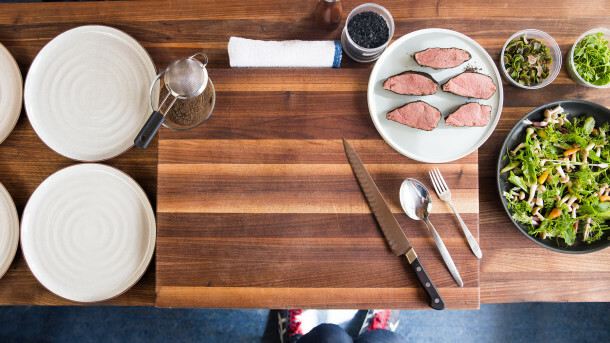 Here are some things your fellow food lovers will freak out over—tools, books, and a couple ChefSteps exclusives on specialty ingredients like salmon and white truffles. Congratulations, friend, you’re about to become a holiday hero. We’re so excited that Joule—our first kitchen tool—is available for preorder this holiday season. 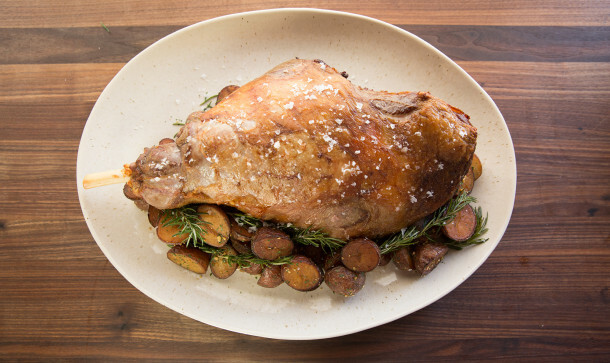 We built Joule because we believe that sous vide has a central role in the kitchen, and it can help you get creative, throw amazing parties (that you’ll actually get to enjoy since you won’t have to babysit the food), and cook your family wholesome, delicious meals every night of the week. 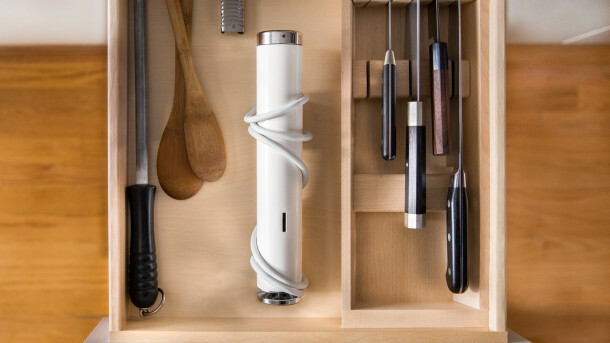 Unlike other sous vide tools on the market, Joule is small enough to fit in a top drawer, and clicks into your metal pot via a powerful magnet. You control it with your smartphone, and it comes with a groundbreaking app that’s full of amazing cooking guides and recipes. 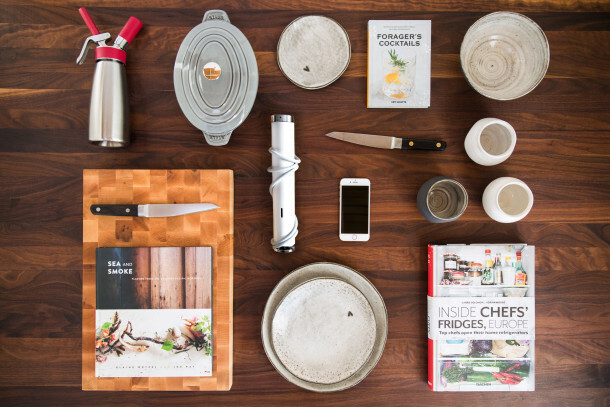 Sure we’re a little biased, but we honestly believe it’s going to fundamentally change the way people cook. So what are you waiting for? Give the gift of Joule! When you give ChefSteps Premium, you’re giving the lucky cooks on your list access to all of our in-depth classes, plus any future Premium recipes, classes, and special offers. 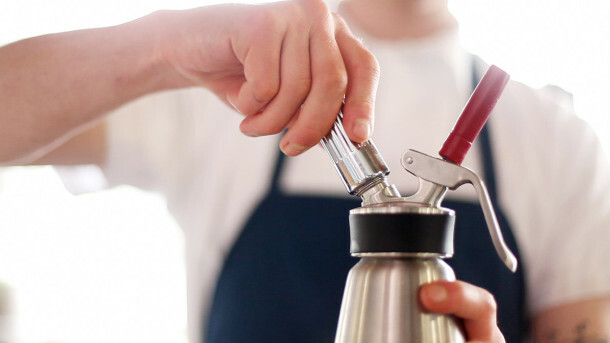 They’ll make macarons, dive deep into sous vide cooking, learn how to brew the perfect cup of coffee, and discover the many incredible things you can do with a whipping siphon. (Think fizzy cocktails, elegant liqueurs, and homemade bitters.) Really, though, you’re giving them the chance to master the simple and advanced techniques they need to take their cooking to the next level—so don’t be surprised if they serve you up something incredible to say thanks. 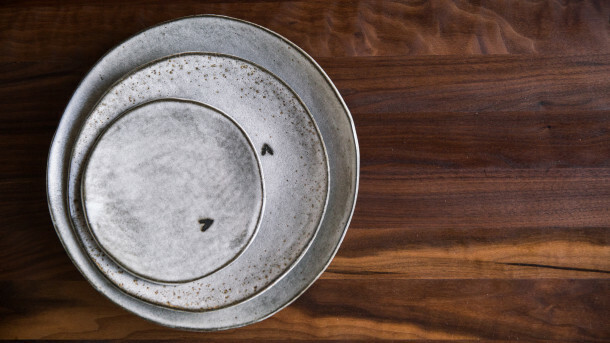 We love the earthy warmth of Akiko Graham’s pottery, and we’re really proud to see these Seattle-made gems gracing tabletops in some of the Bay Area’s greatest restaurants (think Coi, Manresa, the Slanted Door), as well as Seattle’s own Canlis and Café Juanita. What’s most important, however, is how beautiful your own favorite dishes will look on it when you and your family sit down to dinner. Whenever anyone asks us to recommend restaurants in Los Angeles, Gjelina, in Venice, is always at the top of the list. Chef Travis Lett has a serious way with vegetables, transforming stuff like kale and carrots into incredibly delicious small plates. While the recipes in his new cookbook can be time consuming, we think you’ll find them worth the effort once you serve up homemade rye pasta or the restaurant’s Chicken and Escarole Soup. Lucky Peach editor Chris Ying cowrote this one with Chef Danny Bowien—it’s a great read, bringing to life the fascinating history of the Mission Chinese Food restaurants in a vivid, engaging style. What we’re saying is, we’d love this book even if it didn’t come with step-by-step directions for Bowien’s Ma Po Tofu and Kung Pao Pastrami. But it does. And they’re amazing. So buy one for the curious foo—actually, you know what? Pick up two copies. You’re going to want one for yourself, too. 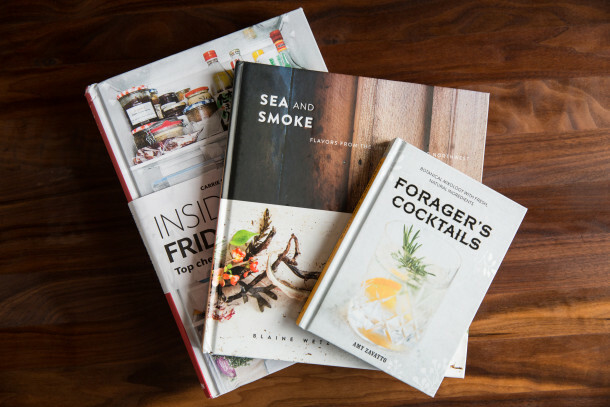 Award-winning food and travel journalist turned ChefSteps writer Joe Ray headed up to the San Juan Islands a few years back to team up with two-time James Beard Award–winner Blaine Wetzel of the Willows Inn to pen Sea and Smoke. The result, highlighted by photographer Charity Burggraaf’s stunning photos, is a collection of stories about the incredible effort that goes into running a world-class restaurant, followed by a set of meticulously tested recipes from the Willows. Joe likes to call it “a little love song to the Pacific Northwest”—and it’s a beautiful song indeed. We’re a little obsessed with tacos—you don’t wind up with a recipe for Kung Pao Carnitas without spending some serious time pondering the possibilities of this awesome street food. For the obsessive in your life, Tacos: Recipes and Provocations—a collaboration between chef Alex Stupak and writer Jordana Rothman—serves up plenty of awesome party-food ideas, from simple salsas to from-scratch tortillas. Let’s be honest: it takes a certain kind of cocktail lover to go out foraging for imbibable ingredients. But trust us when we say that Amy Zavatto’s book will have you on your hands and knees in your backyard in no time, furiously rummaging for sassafras root. After all, who wouldn’t want a Wild Onion Gimlet in spring, a Mulberry Smash in the summer, or a chamomile-infused genever to get you through the cooler months? Whether it calls for rosemary from your herb box or wild roses from a hike, Forager’s Cocktails is brimming with brilliant—and realistic—ideas. The first thing you’ll notice about Inside Chefs’ Fridges, Europe is the imagery: Carrie Solomon’s striking, full-page photos of the chaos and order inside the real-life refrigerators of chefs like Massimo Bottura and Yotam Ottolenghi make up most of the book, but Adrian Moore’s simple, funny stories round it out into a delightful, oddly addictive addition to any cookbook collection. People in the Pacific Northwest are psycho about salmon, and Lummi Island Wild is the best of the best. 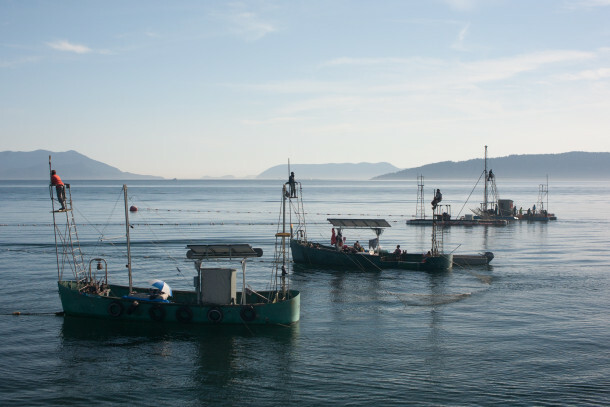 They catch their salmon by reefnetting, a unique, time-tested technique that’s humane and consumes almost no fossil fuel. Normally, you’d need to be in a buying club to get your hands on their stuff, but just for you, they’ve created a ChefSteps–exclusive cedar gift crate, filled with frozen samples of every type of salmon they catch. For serious cooks, truffles are the holy grail. Their exquisite perfume transforms a dish into something regal and almost otherworldly. 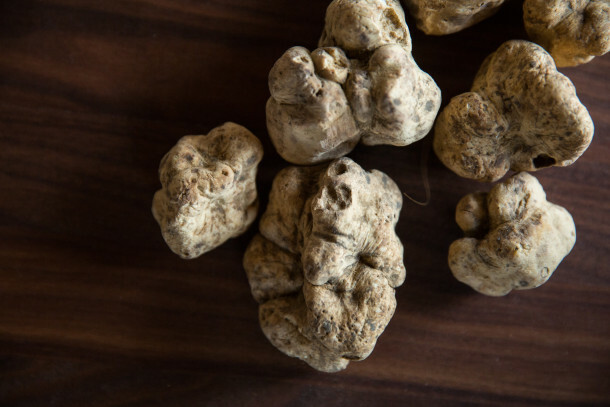 Our friend Tyler Gray of Mikuni Wild Harvest set up a ChefSteps–exclusive promo code—CS15ALBA—for a 15 percent discount on Alba truffles. Order now through December 31, 2015. Give someone on your list the gift of hand-crafted steel, and they’ll love you for life. Beyond looking pretty dang badass, these essential tools make once-menial tasks both fun and satisfying. 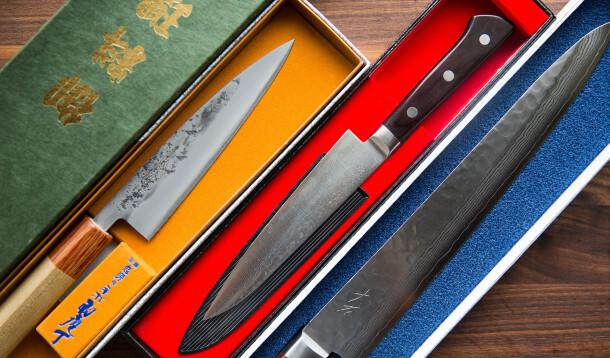 Choose any of the awesome Japanese blades in our collection (all sourced from Epicurean Edge in Kirkland, Washington) and you’ll have one very happy prep cook this holiday season. Even the best knives eventually need a bit of TLC. 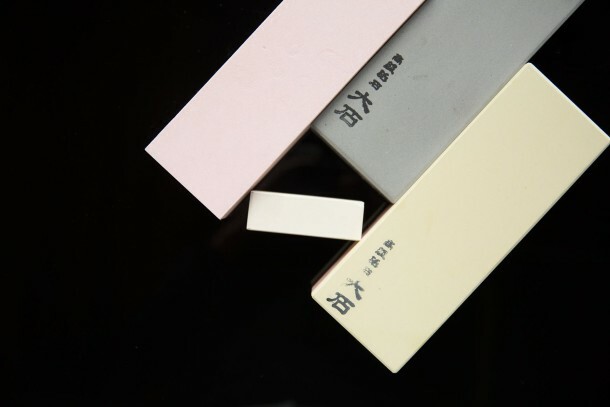 The ChefSteps Sharpening Set, which we designed with the aforementioned Epicurean Edge, can bring even a dinged-up blade to a razor-sharp high polish. Giving the set to a newbie? Suggest our free Knife Sharpening class—starring Daniel O’Malley, owner of Epicurean Edge—to go along with it. We can’t get enough of these gorgeous, heavy-duty cast iron pots from Alsace. At once homey and elegant, they invoke the rustic, invigorating spirit of the storied culinary region and are as high performing as they are pretty. Whether they’re roasting a whole chicken or just need a sweet-yet-chic serving dish for Pomme Purée, the cooks on your list will go nuts for the lovely cast iron line from Staub. Cutting boards have presence and personality. Look in any serious home cook’s kitchen, and you’ll find his collection, well cared for and ever within arm’s reach. Our favorites are made by John Boos—they’re always at least an inch and a half thick and come in luxurious woods like maple, cherry, and walnut. There’s a lot of serious gear in our kitchen, but a whipping siphon is one thing everybody loves. What keeps us coming back to it? Versatility. Yes, it can make fantastic whipped cream and savory foams, but you can also use it to create amazing fizzy fruit, sumptuous strawberry soda, and quick cold brew. Point the lucky recipient to our Whipping Siphons class for tons more ideas, and be sure to make yourself available for taste-testing.